1. Click on ‘Booking’ tab. 2. 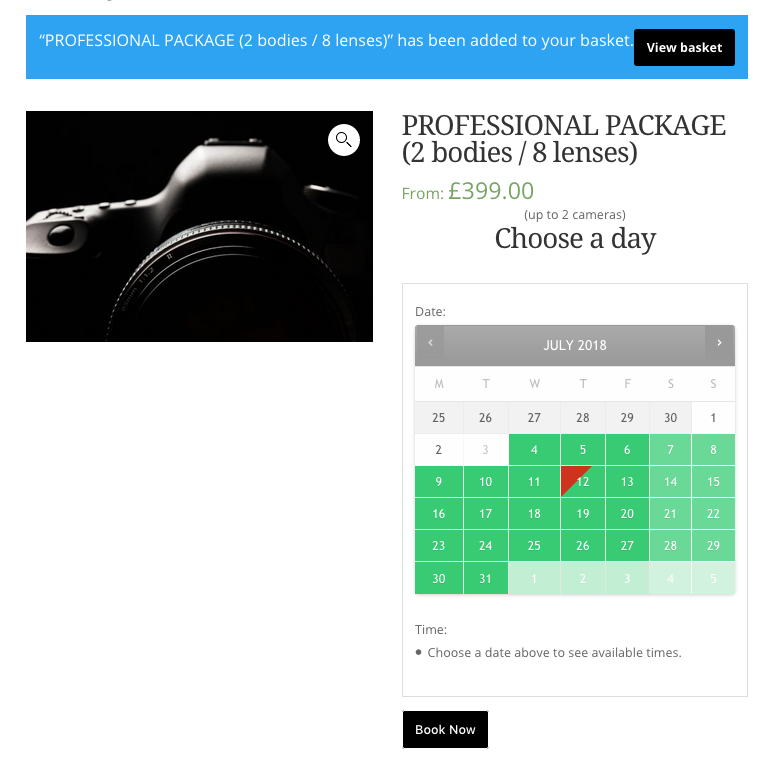 Decide which package you require by reading the Professional, Basic+ and Basic package content details to help you decide. 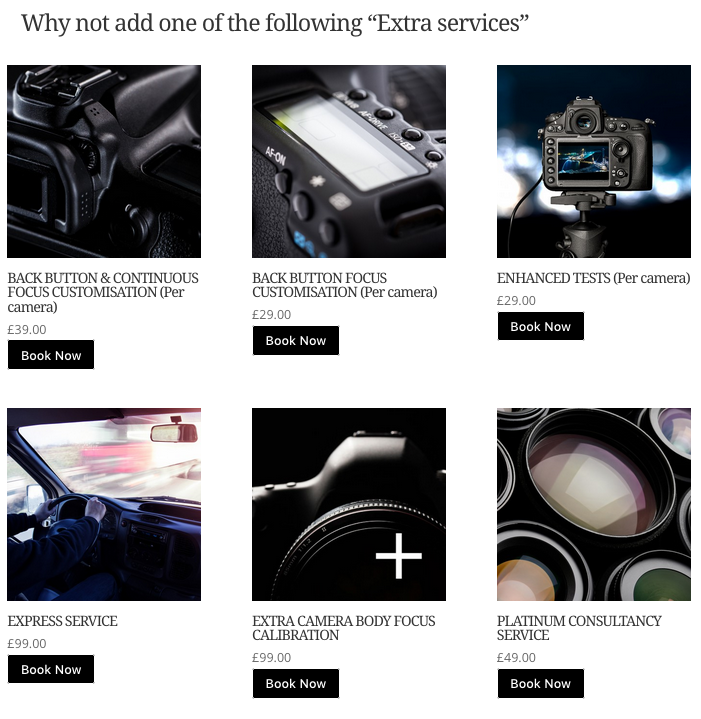 Match the number of camera bodies you would like calibrated to the ideal package, extra camera bodies can be added later in the order process if required. 3. 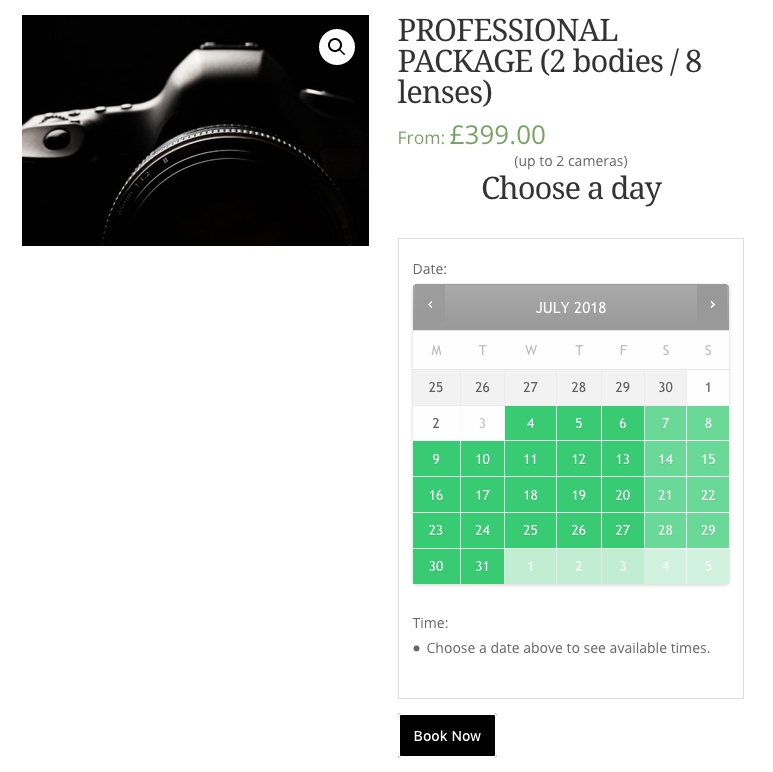 Click on the BOOK NOW button under the choose package or if you are already on your chosen package page go to the calender and choose the day you would like to book your session and then a session time. 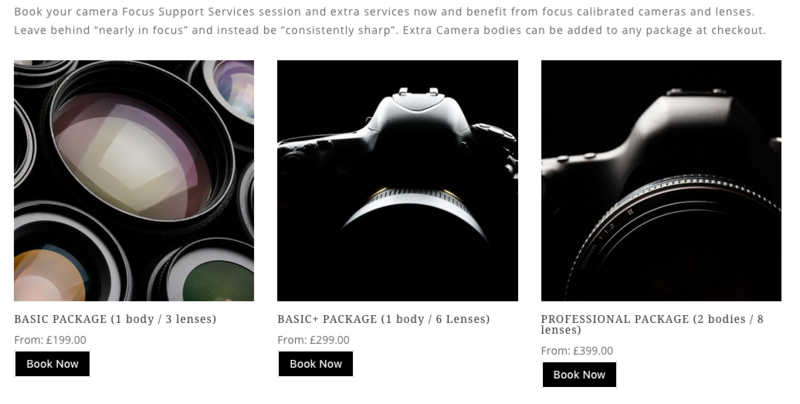 Monday – Friday there are 3 bookable sessions a day. Please note * The date you book online is the session date and nothing to do with courier delivery and collection dates, the Peli case will be delivered to you before your session date in order for it to reach CFSS for your booked session date if you chose courier collection service at checkout. 4. 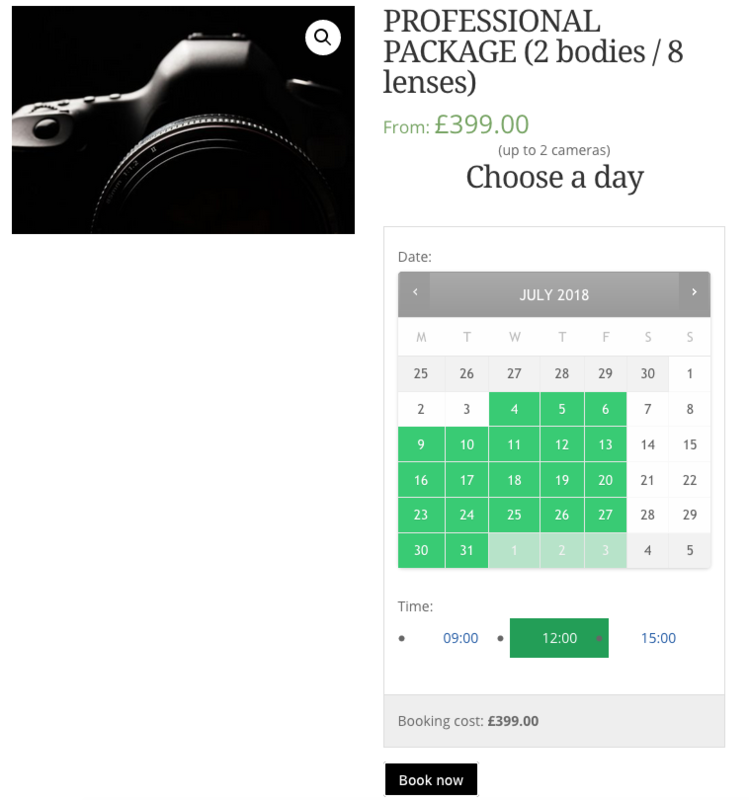 Click the session time you require and then click BOOK NOW underneath. 5. The package will then be added to your basket. These Extra service items can also be added at the view basket stage if required. 7. 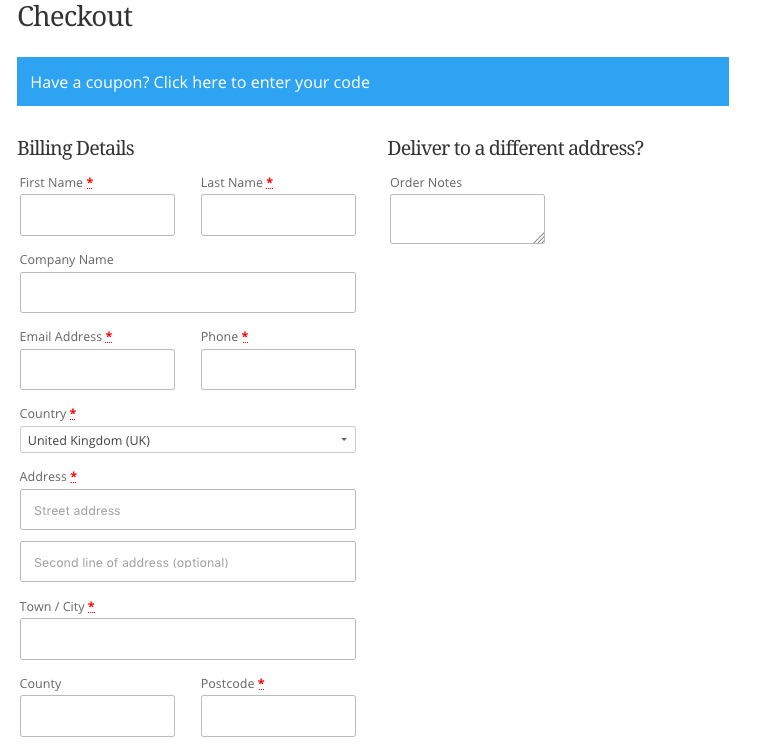 Click on CHECK OUT and you will be directed to the Order page, fill in all the details required. If you have a coupon code click on the thick blue line at the top of the page which will drop down for you to enter the code. 9. 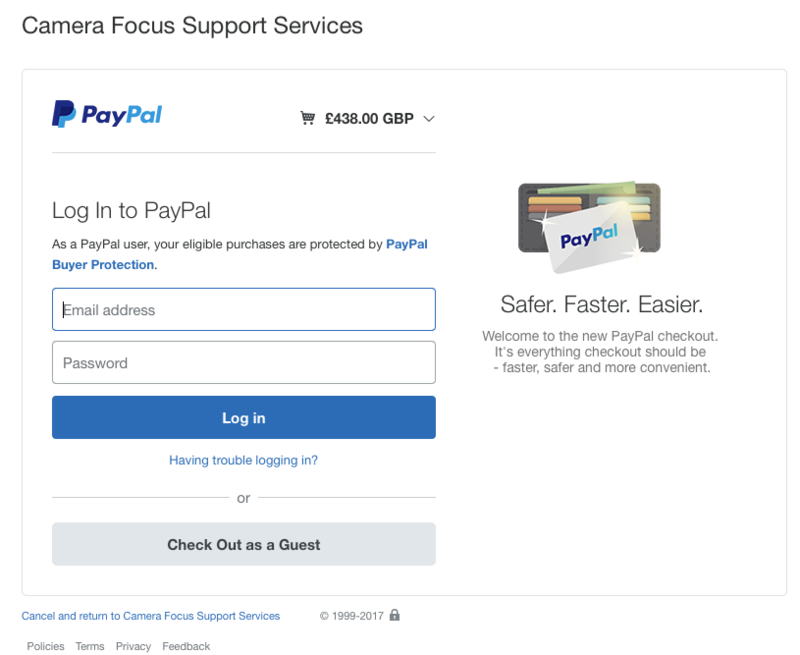 If you have a Paypal account already set up with a payment card linked to it, just sign in and click Pay Now to place your order. 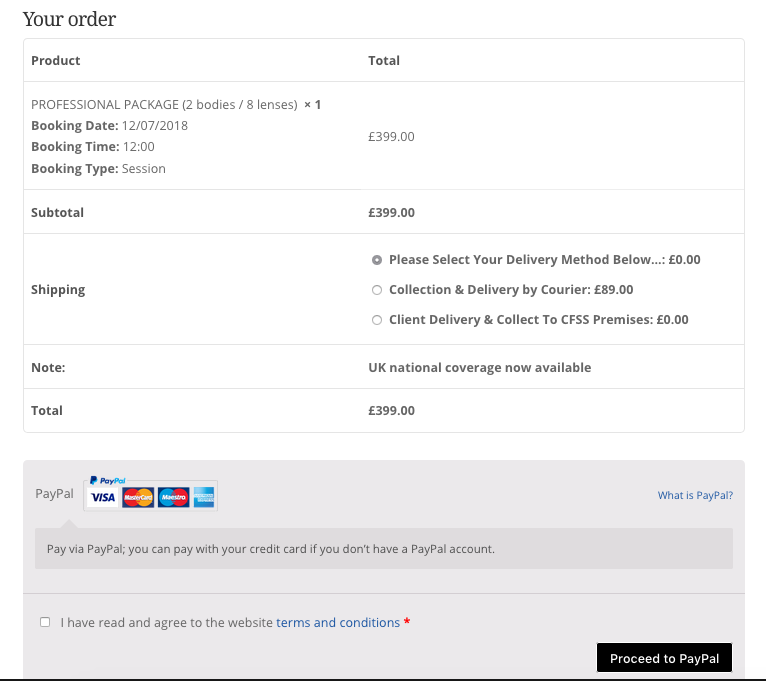 After payment is made and the order is placed you will receive an email confirmation of costs and information about collection and delivery services. 10. 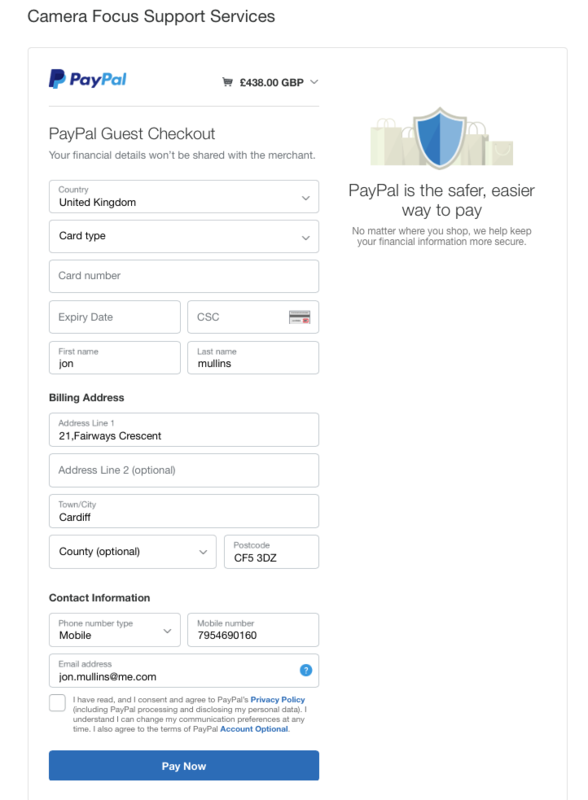 If you do not have a Paypal account set up use the option “Check Out as a Guest” you can then fill in your details and choose to pay with a card via paypal during the checkout process as another option. After payment is made and the order is placed you will receive an email confirmation of costs and information about collection and delivery services.